With summer largely in the rearview mirror, marketers are attending conferences and generally revealing more media- and brand-related data. Here are nine of such stats that caught our eye last week. 1. 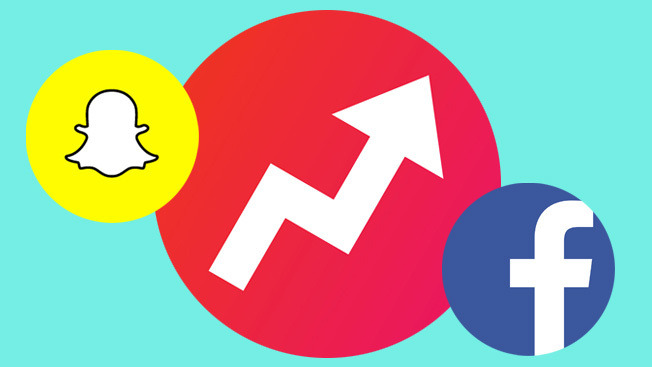 During a Re/code podcast, BuzzFeed CEO Jonah Peretti said that more than 75 percent of his digital publisher's views for all content come from non-BuzzFeed networks. More specifically, he shared that Facebook video produces 27 percent of the views and Snapchat brings in 21 percent. 2. PubMatic CEO Rajeev Goel told an audience at Dmexco that about 40 percent of Germans use ad blockers, a significant spike from the estimated 10 percent of Americans who block ads. Publishers are rightfully scared of the phenomenon, especially since Apple's IOS9 system became available last week. It allows developers to sell ad-blocking apps on it for iPhones. 3. Also speaking at Dmexco, Amy Cole, head of brand development for Instagram EMEA, made the case for brands to buy ads on Instagram, citing data from 400 Nielsen studies covering two years of campaigns. Per Cole, 97 percent of ads have generated "significant" ad recall, with the average campaign boosting recall by 17 points. 4. JD.com, China's largest business-to-consumer site, has more than 600 million users and 373 million people who purchase straight from the site. 5. Anonymity app Whisper touts more than 10 million users, 10 billion page views a month and a whopping 1 million app users every minute. 6. Remember Lauren Conrad from MTV's Laguna Beach and The Hills? A decade after the shows, she's a bona fide media mogul, with multiple clothing lines, bestselling books and her own lifestyle brand. What's more, she's a social-media star, with about 4.4 million followers on Instagram, 3.5 million on Twitter and 1.9 million on Facebook. 7. Monetate, which has access to more than 7 billion shopping experiences from its customer base, found that during the second quarter, traffic to e-commerce sites also increased 30 percent year over year. The digital marketing company also said that sales conversion rates jumped 46 percent over the same time period—largely driven by mobile shoppers. 8. Democratic presidential candidate Bernie Sanders live-tweeted last Wednesday night's Republican debate. As Digiday reported, analytics company Socialbakers found that Sanders received 452,000 interactions—entailing retweets, replies and favorites—on his tweets that day alone. Compared to his average interactions of 36,700 per day over the previous month, according to Socialbakers, that's a huge uptick. 9. Speaking of h-u-u-u-uge, on the other side of the political aisle, Republican presidential candidate Donald Trump accrued more than 7.5 million Vine loops (the mobile app's views metric) on his account, but he hasn't used the video platform since 2013. What gives, Trumpster? And a bonus stat that's really not about digital marketing: Hampton Creek is a packaged-goods startup that focuses on data to create new foods, which are intended to be more profitable, environmentally friendly and healthy. Last week, Hampton Creek CEO Josh Tetrick told an audience at Salesforce's Dreamforce conference that his team taps into data from more than 400,000 species of plants.